Brilliant fun, a dash of adventure and plenty of deliciousness, I think anyone interested in food or drink (or both) should hop on a Gourmet Bus Tour. Run by the fabulous people behind the Brighton & Hove Food Festivals, they have so many contacts to the best of our Sussex producers that they can create the food itineraries of our dreams. 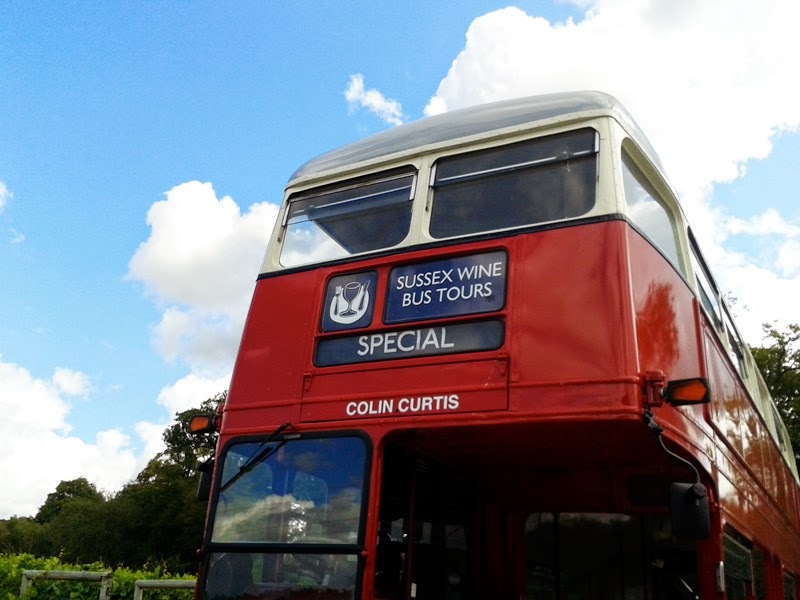 I've previously been on their food bus tour which visited CocoaLoco, Dark Star Brewery and High Wield Dairy but today we were heading to a couple of Sussex's amazing vineyards. I love visiting these and take a geek load of notes but really go yourself and find out why we should be buying more English wine. The bus tour itself is great, pulling out of Brighton all pleasant and genteel and arriving back full of chatter and laughter. There's a jolliness about a Routemaster bus that compels people to wave at you or raise a smile as it passes. At times it's pretty impressive it squeezes down some of those narrow country roads too. This estate has been around since 1972 and is a family business. The daughter of the original owners, Sam Linter, is now head winemaker and the feminist in me LOVES the fact that a lady is the wine head honcho here (her assistant winemaker and vineyard manager are also female). 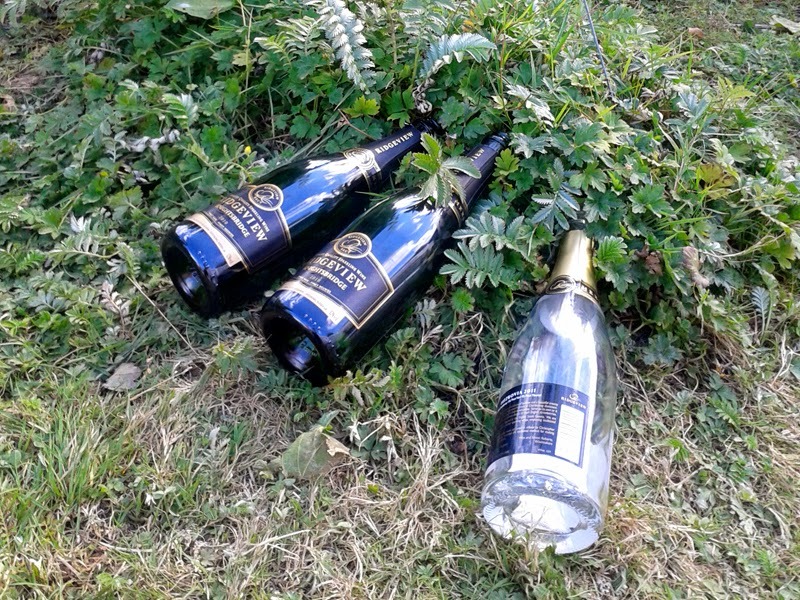 Sam has won plenty of national and international awards and you can also buy the wines in places like Waitrose. The estate is very pretty and geared up for tours. Normally they do the lunches in the cafe but we had ours in the winery itself which made for a stunning backdrop. 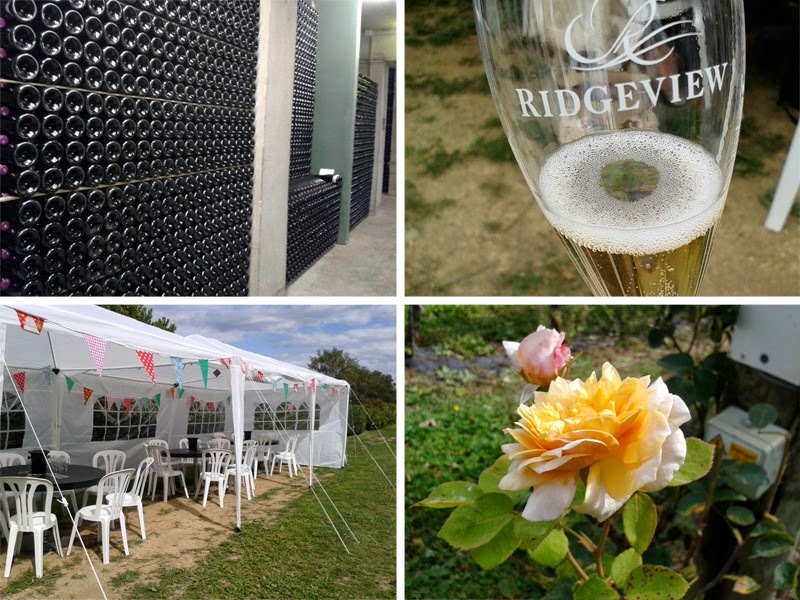 We tasted four of their wines; The sparking Blanc de Blancs, Bolney Rosé and the Pinor Noir. I find Bolney wines to always be surprising, either lighter than you expect or very fragrant and sweet (the rose), certainly never boring. My favourite was actually the Pinot Gris we had with lunch which was a really well balanced white, very creamy. 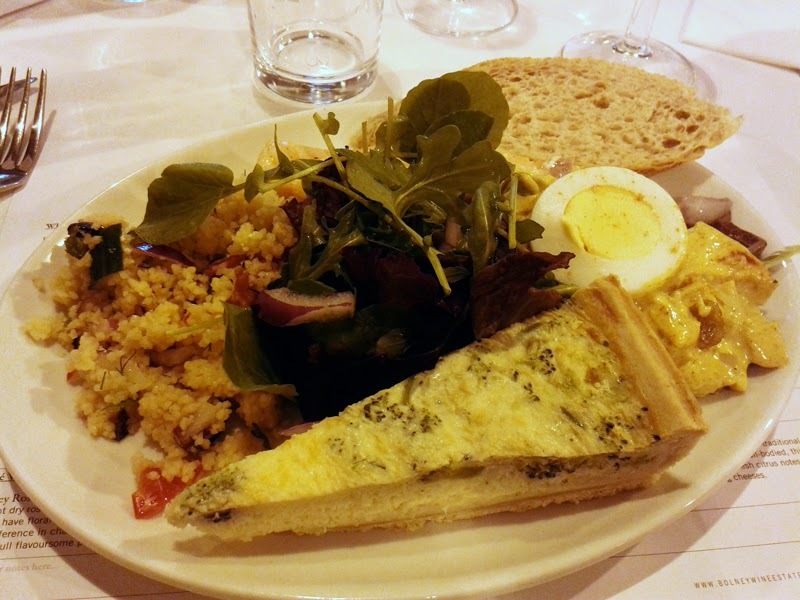 Lunch was very well done, buffet style but lots of dishes. The tour was informative, interesting and relaxed and the vineyard itself is actually a lovely place to walk around in the sunshine. Ah Ridgeview! I must say, these guys produce some of my favourite sparkling wines so let's get straight onto them. The Grosvenor Blanc de Blancs is a must. I insist on a bottle for special occasions and if I were to be washed up on a dessert island I'd prefer a few cases of this than rum for company. It's very light, super pale and fresh. It doesn't suffer from that biscuity yeasty dryness (all official wine terms!) that some sparklings suffer with. Love it. I also adore the Fitzrovia Rose (all the wines are named after London Boroughs). It has the most beautiful salmon colour and again, fresh, light and so drinkable. I discovered this at Plateau in Brighton so grab a glass if you're passing. We also tried the Bloomsbury (their entry level sparkling) and Knightsbridge, all of which are excellent. Everyone will adore at least one of their wines, look them up if you can. The story of Ridgeview is charming. Again primarily a family business, with the second generation now heading up production. The tour is very detailed, well put together and again delivery is entertaining. There are plans to extend their visitor facilities soon which will make visits even better. We were actually hosed in the temporary marquee but was really pleasant! I was surprised by the volume of production since my last visit a few years ago and that they had been selected to produce wines for the likes of M&S and Waitrose, which goes to show their quality of produce. 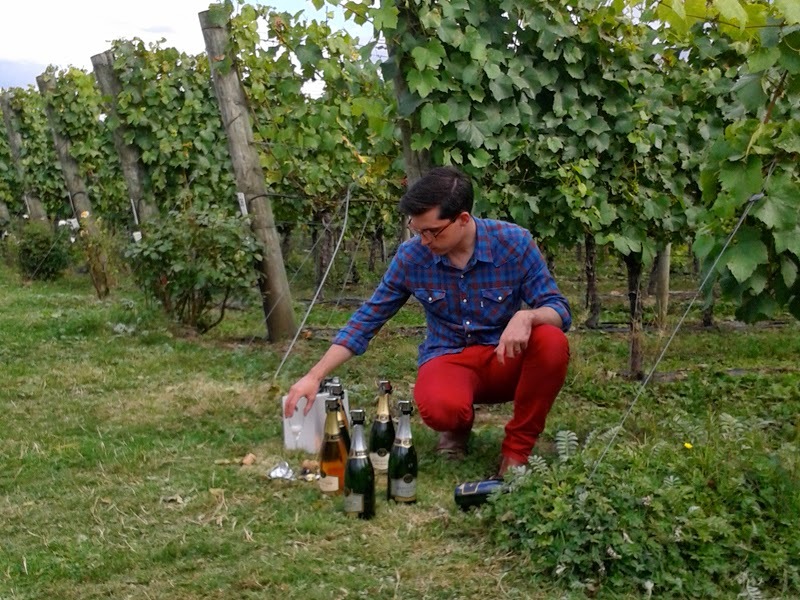 If you want to learn about wine in an informal and relaxed way, then these tours are great. Wine production is so interesting and especially learning the challenges and quirks of growing grapes in Sussex. The whole bus tour last around 8 hours. 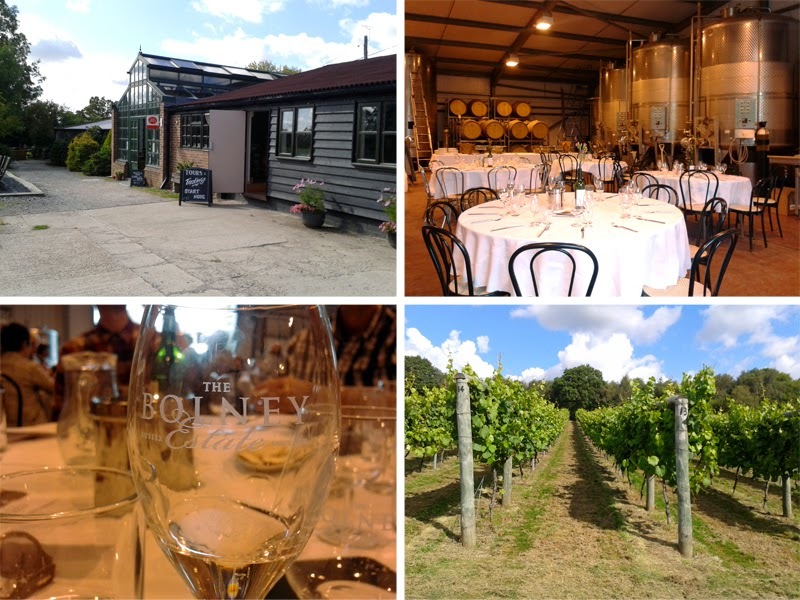 This vineyard trip was £75 which represented good value for money with lunch, amount of tasting (and generous wine at lunch), plus breakfast pastries and a trip on a Routemaster. Would make a fabulous gift for someone special too. I was a guest of the Brighton Food Festival.